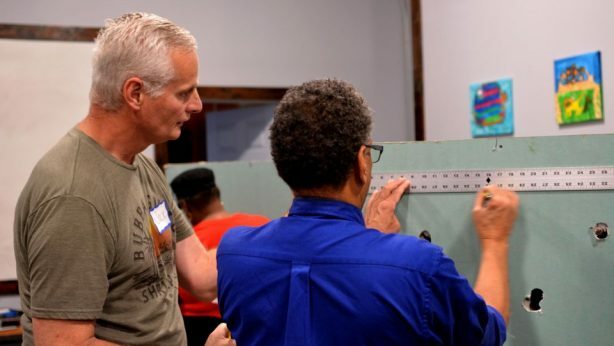 AKRON, Ohio – The nonprofit Well Community Development Corp. has launched a home-maintenance class series for Akron residents. The classes will be taught at the Well, 647 East Market St., by professionals who will provide information, demonstrations and hands-on training. You can view the class list and sign up here. Classes include the repair of drywall and plaster repair, home weatherization to and the use of power tools. The first class, installing laminate and luxury vinyl, is Jan. 17 from 6 to 7:30 p.m.
Students also will receive advice on finding and hiring reliable local contractors for larger projects Most classes will be offered twice in 2019. A $20 fee is charged for the classes to cover expenses and give people an incentive to show up. The courses also can be taken as a series of six for $100. Those who sign up for a class before Jan. 17 will receive a free class this year. Prospective students who need financial assistance can send an email to the Well. The Well has three priorities: reinvest in Middlebury’s housing, bring jobs to the neighborhood and create a neighborhood identity. Middlebury is the first settlement in Akron, and has the highest percentage of pre-1940 housing, according to the city of Akron. About 25 percent of homes are owner-occupied compared with 60 to 70 percent in healthy housing markets, the Well reports.